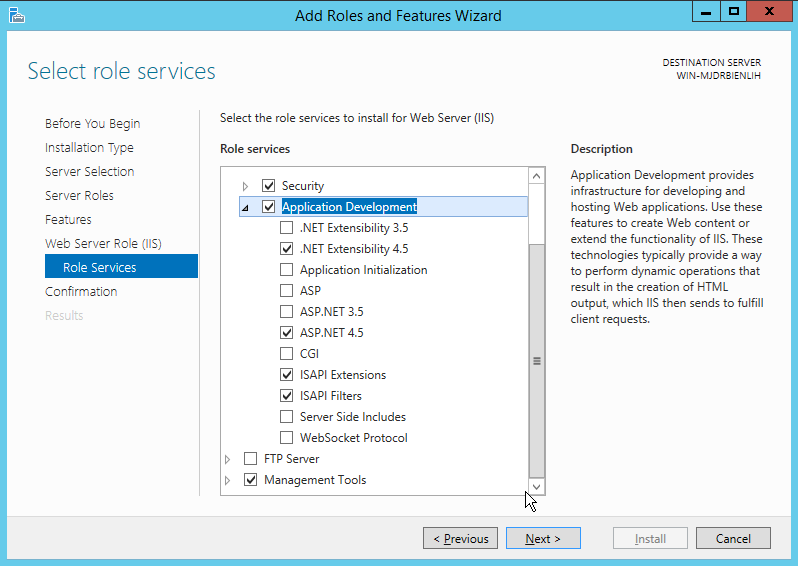 To enable IIS and Microsoft .Net Framework 4.5, first enter the Control Panel by clicking on the Windows start icon and select the Control Panel tile. 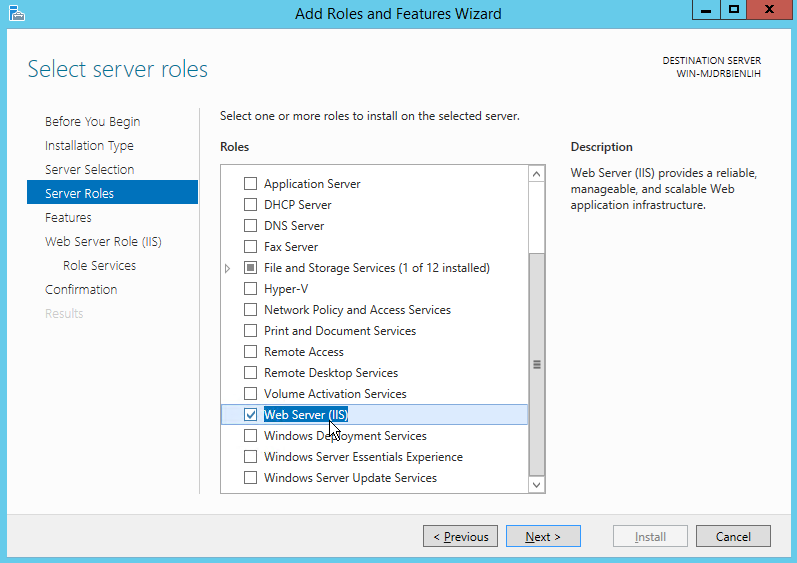 From the Control Panel, select Turn on Windows features on or off. 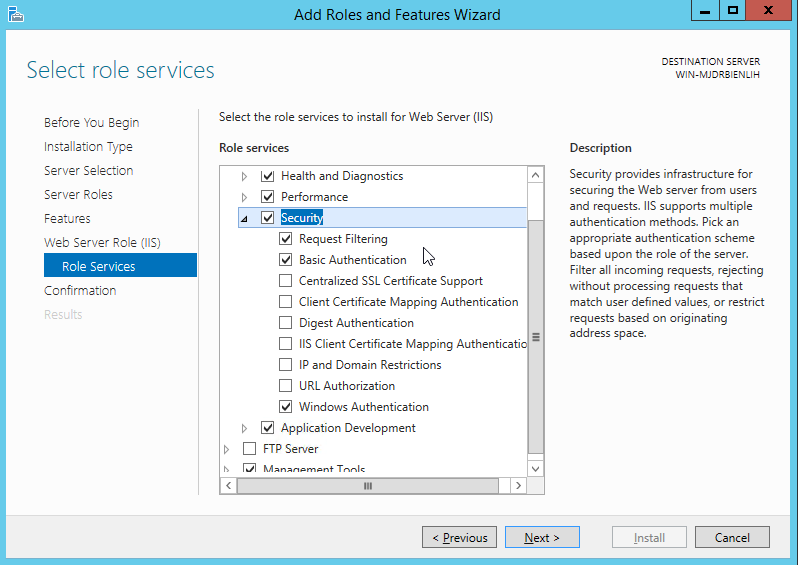 Click the Next > button through the wizard until you reach the Server Roles section. 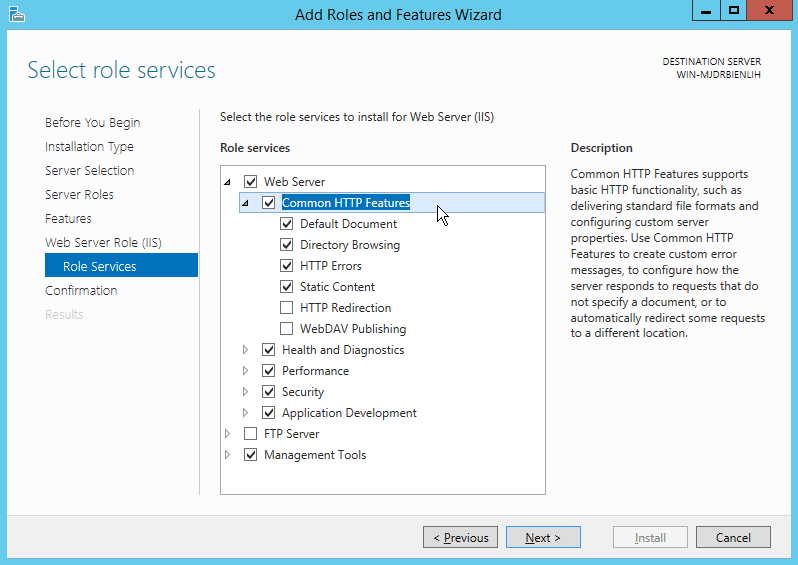 Enable the Web Server (IIS) role, and accept the default settings and clicck Next > to go to the Features section. 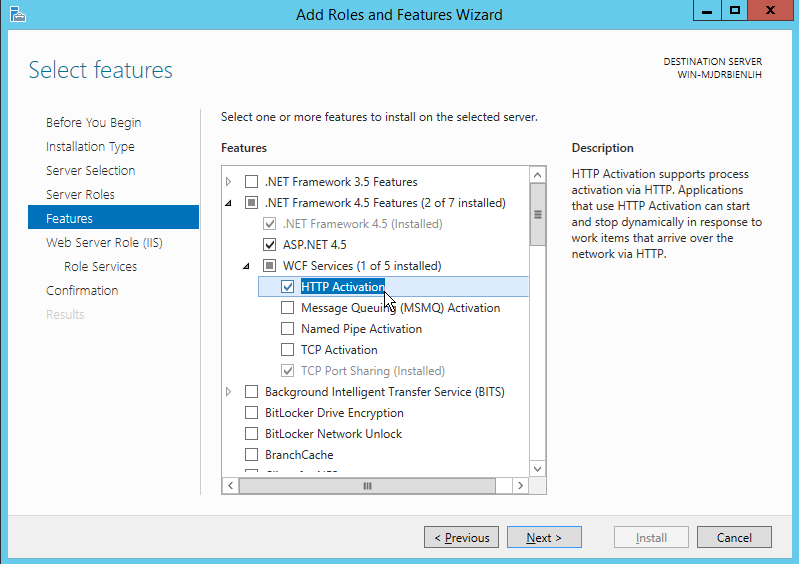 In the server Features section, enable HTTP Activation within the .NET Framework 4.5 options.